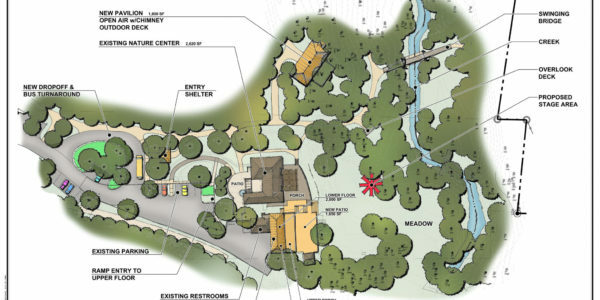 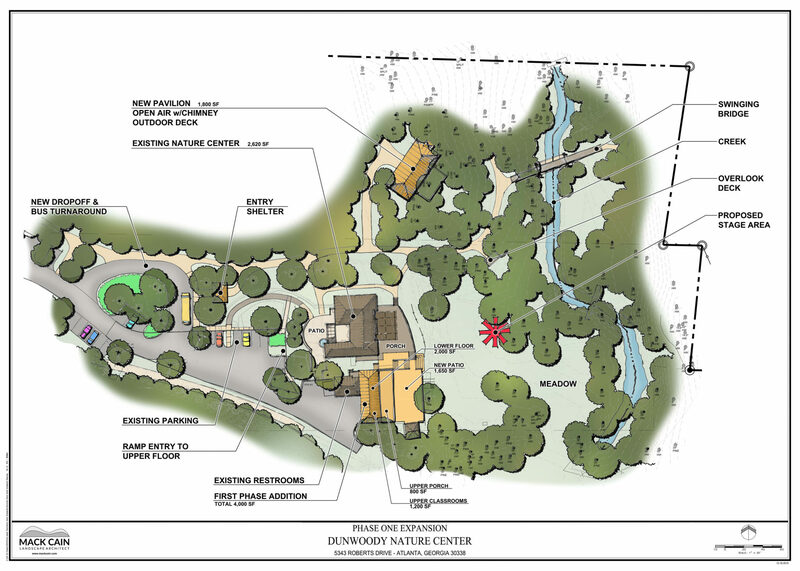 Evaluate the Nature Center’s programming needs, site conditions and needed new building facility. 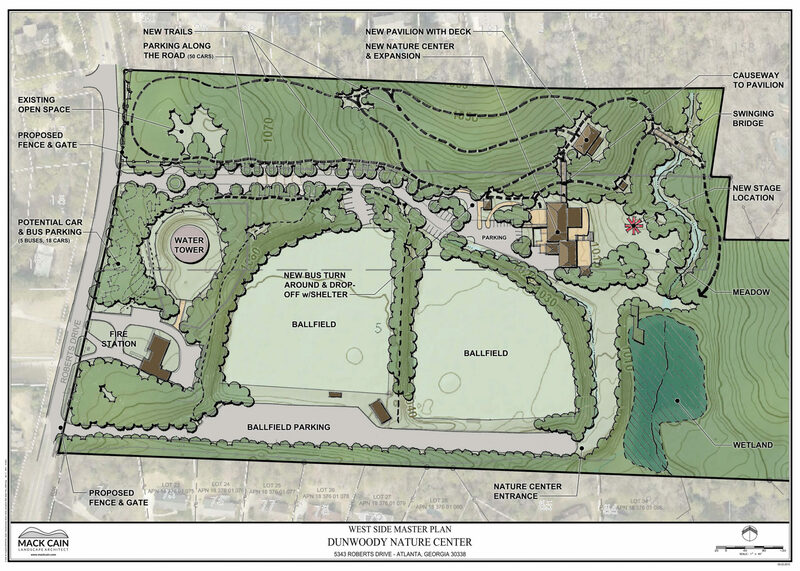 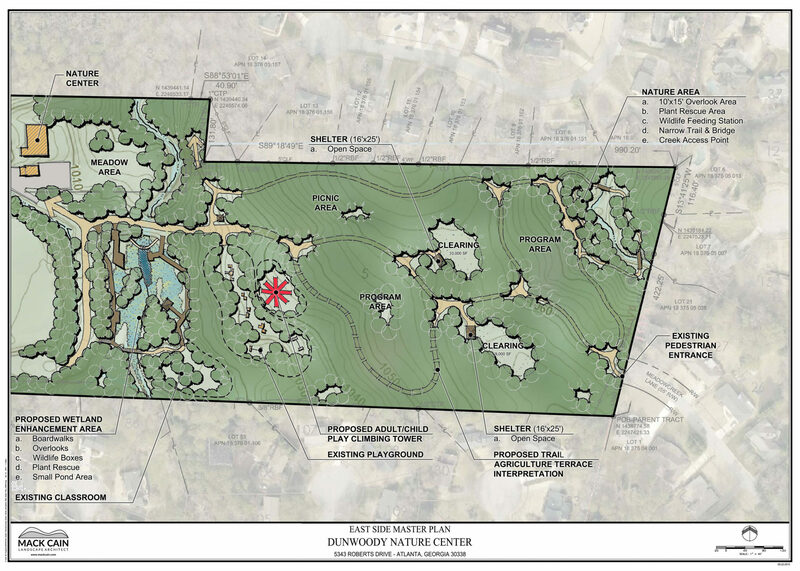 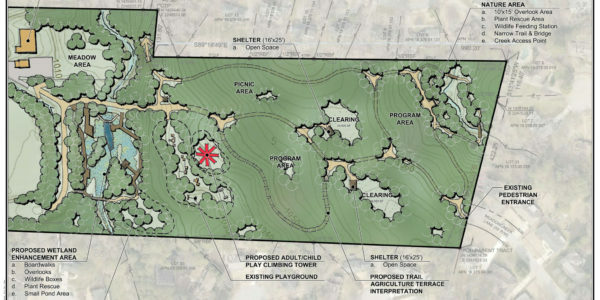 The nature center issued a mandate that the property was to retain its natural character while at the same time provide for expansion of the programs, facilities and infrastructure needed for introducing more children to a natural experience. 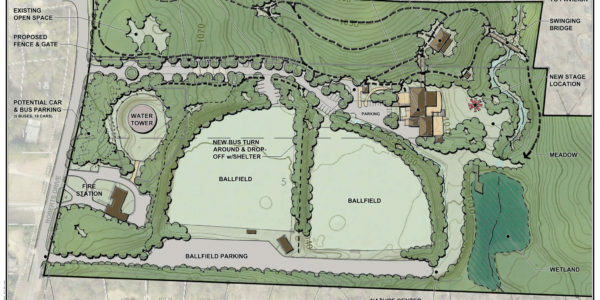 The ensuing Master Plan was able to accomplish these goals and set new parameters for expansion and development without damaging the natural conditions of site. 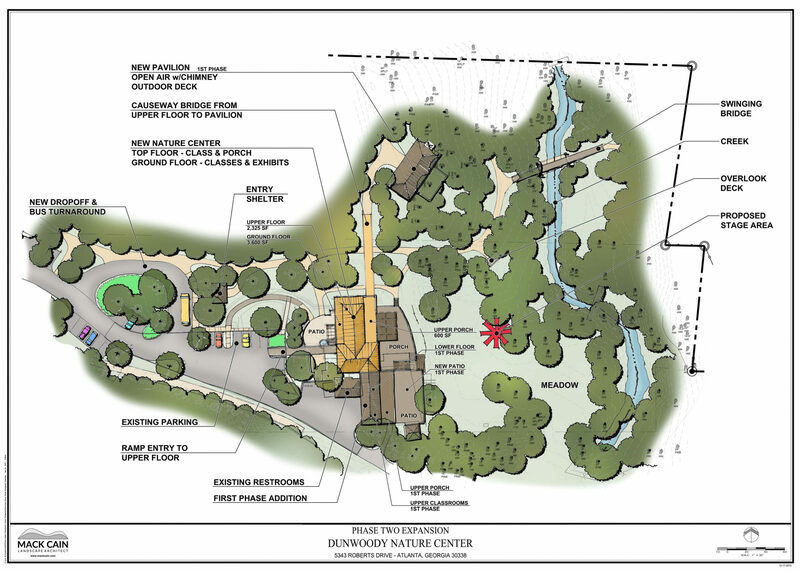 The proposed buildings are envisioned to embrace the existing conditions and combine the natural with the built environment. When implemented, the facility will be able to maintain its current programs and reach out to the community with more expanded programs to accommodate educational, cultural and civic needs.